It joins two big counties and has road journey distances. Grade 1 listing will preserve the bridge for the foreseable future. Ease of transport means the bridge has helped the local economy. Shorter vehicle journeys means less noxious emissions. Create a sustainable crossing after years of discussion. Built the longest single span suspension bridge in the world. Construction of the bridge in 1981. The 7,280ft (2,220m) long Humber Bridge was the longest single span suspension bridge in the world when it opened in June 1981. There had been talk about a crossing at this point for over 60 years – the first designs were produced in 1927. But the project had been controversial. Critics said the planned site was not a particularly busy route and the bridge would be expensive. Despite opposition the local council was keen to stimulate the local economy and lobbied hard for the bridge to be built. Work finally started in 1973. The Humber Bridge now joins east Yorkshire to north Lincolnshire and has become a local landmark that's visible from miles away. The bridge was made a Grade 1 listed building in 2017 to mark Hull's year as UK City of Culture. The Humber Bridge spans 1410 metres and took 8 years to build. It was the longest single span bridge in the world at the time of construction. Despite the controversy over its construction the bridge became a popular route for motorists. By 2006 it was carrying around 120,000 vehicles a week. The bridge has reduced journey times in the region – it cut the road distance between Hull and Grimsby by nearly 50 miles (80km). Although the bridge is still in debt with taxpayers owed over £150m, it's credited with contributing to the local economy. 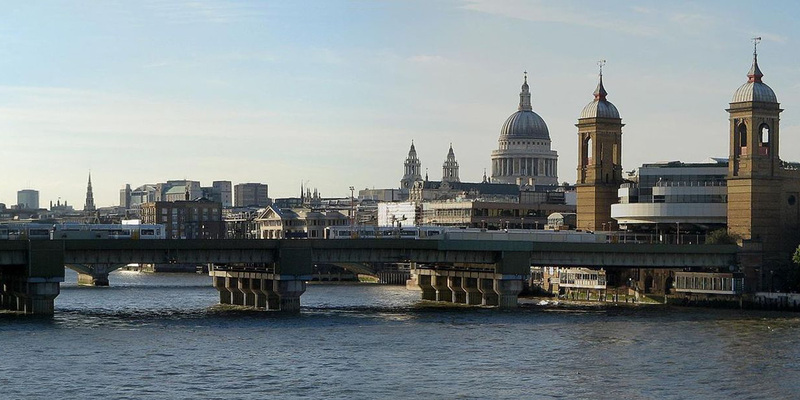 Engineers constructed the bridge's spans by suspending them from hollow reinforced concrete towers 155m high. 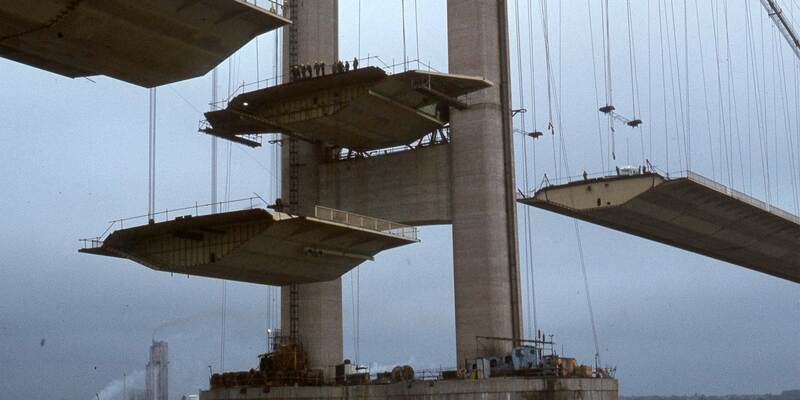 The Humber was the first major suspension bridge to use concrete in this way where other bridges used steel towers. The cables that hold the deck are 700mm in diameter and weigh 5,500 tonnes each. Each cable is made up of 37 strands of 404 lengths made of high tensile galvanised steel wire. Galvanised wire has been protectively coated with zinc. Each cable was designed to take a load of 19,400 tonnes. Once the cables were in place the deck could be hung from them. The deck is made up of 124 steel boxes weighing 120-168 tonnes. Engineers lifted the boxes into place using two 20 tonne gantries attached to the bridge cables. The Queen opened the bridge on 17 July 1981. Although it can't beat the Golden Gate bridge in San Francisco for setting, it far outstrips it for sheer elegance and as a piece of engineering. Humber Bridge bridgemaster, talking to the Guardian in 2012. The 1.5 mile drive across the bridge was voted the most scenic journey in the UK in February 2018 by a panel of motoring experts. The Humber Bridge project is often credited with influencing the 1966 Hull north by-election. 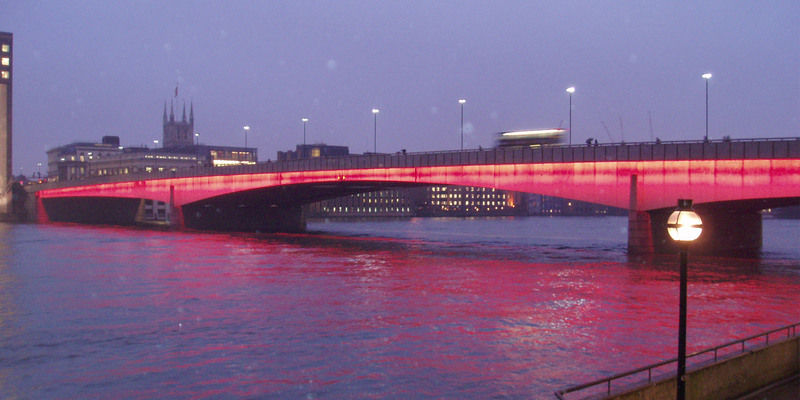 The Labour government – which wanted to hang on to their 1 seat majority in Parliament – announced that the bridge would be built during the by-election campaign. Labour retained the seat. Air display team the Red Arrows did a fly-past over the bridge during its opening ceremony in 1981. Unfortunately, the Archbishop of York had added an extra verse to his prayer of dedication and the planes flew over in the middle of it.